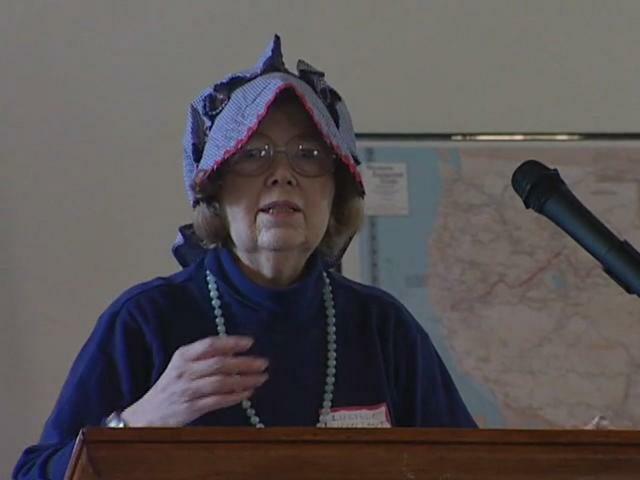 ABSTRACT: Lucille Vinsant, co-founder of the Solano County Genealogical Society shares a remarkable story of what it was like being a woman, crossing the plains in the 1800's. Recorded on April 23, 2005 at the Pioneer Day Reunion at Rockville Church in Suisun Valley. Introduction by Mary Higham, Director of the Solano County Historical Society.